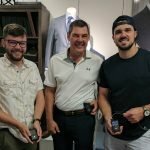 Blaine’s Fine Men’s Apparel hosted Clothing for a Cause, benefiting JDRF. 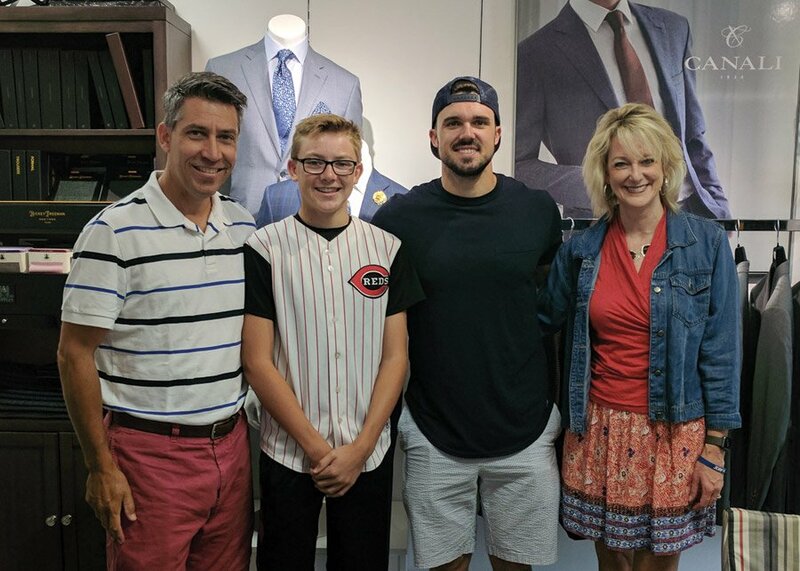 Guests had the opportunity to shop privately at Blaine’s and to meet Cincinnati Reds All-Star Adam Duvall. Duvall, who was diagnosed with type 1 diabetes in 2012, is one of many who have been diagnosed with the disease as an adult. Approximately half of all new type 1 diabetes diagnoses are in adults. 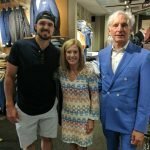 The event raised about $6,000. 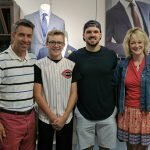 A matching offer from Dr. and Mrs. Jonathan Ellichman boosted the total to more than $12,000. 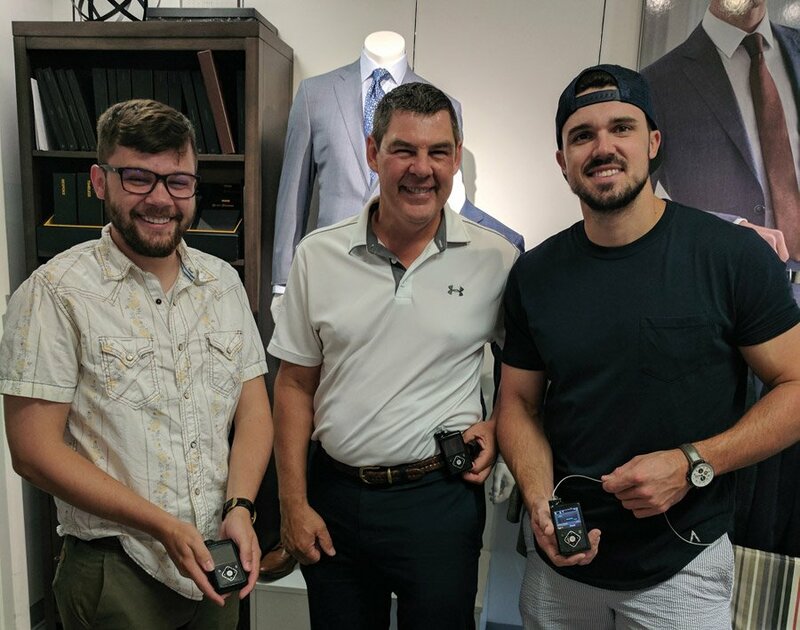 Conner Wall, his father Dr. Kevin Wall, and Adam Duvall, all with type 1 diabetes, display their insulin pumps.